But this does not mean you can’t join the festivities! 11am – 6pm. 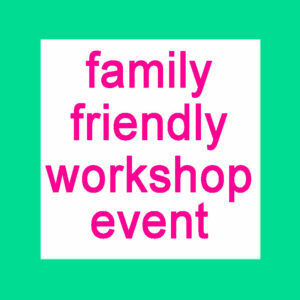 Workshops can start at 10am. Programme and details about the event here. > All Open Doors residents MUST have their own Public Liability Insurance (your A/N membership). Please confirm below that you have a current membership. > All Open Doors residents MUST fill in new risk assessment. If electrical items in your studio haven’t been P.A.T tested please be in touch with Daniel from the office – or provide proof of P.A.T testing. > Deadline: by Thursday 19th October. There is no fee towards Edinburgh Palette for opening your studio or running an event or a workshop during the weekend. Please click to see the list of facilities on our website, if you want to book a space for the weekend. 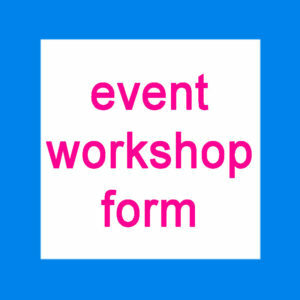 Regarding any workshops/events organised during the weekend in one of these spaces : facilitators are responsible for providing their own materials and tools, they are also responsible for cleaning up the area after their workshops. The Open Doors is an opportunity to give everyone a better idea of the different types of artists, collectives, charities & businesses creating and working here. During the Open Doors take the time to network & visit your fellow residents by having someone who can replace you in your studio! Once registered, we’ll send you the official invite to a wee after party the Arts & Community team is organising for the first night on Saturday at 6pm! The Open Doors Weekend programme (the list of studios opening for the weekend and events and workshops with the information you’ve filled in on the form) will be distributed around the neighbourhood and to all visitors at the weekend. 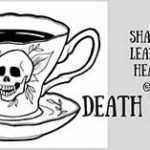 We have already announced the event on Edinburgh Palette’s website and we’ll continue to share the info far and wide via the website, our newsletters and social media channels. If you haven’t do so already, like, follow & use our social media channels! Any help to promote the event is welcome! Social media: If you are a Facebook user, please mention you are ‘going’ on the official Facebook event! Share with as many people as possible & as often as possible until the day of the event. 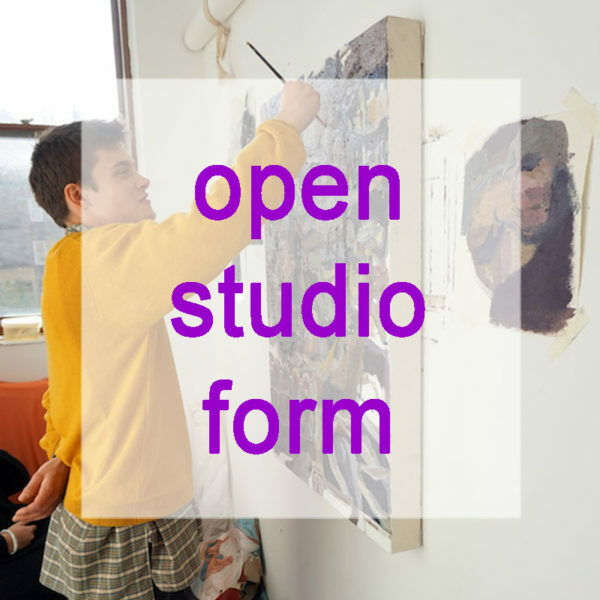 It’s a good idea to take some photos of your studio or make a little introduction to your sharing by giving details about your practice & what you will be showing during the Open Doors (work in progress-latest drawings etc). Flyers & Posters: distribute programmes in your local area & in any other art venue you think would attract some public & take posters only if you know you will be leaving in the appropriate venues. We will be making also an e-flyer that you will be able to send to all your contacts. 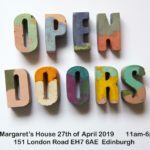 If you have a Facebook page, you can also create your own Facebook event and mention: ‘This is part of the Open Doors Weekend @StMargaretsHouseEdinburgh. Full programme of the weekend on the page.’ And don’t forget to share it with us! Resident’s Directory: if you haven’t, do update your profile on the Residents Directory please. It will automatically also update your card on the touchscreen for visitors when they come in. You can tick the box ‘Participate to the Open Doors Weekend’ so that you are listed online too.